Good Monday morning! It’s a stormy one here in ole Peoria; I’m glad I got my lawn mowed yesterday, that’s for sure. I know we are all getting back into the swing of things on a Monday so I won’t take up too much of your time, but I wanted to share some exciting stories from a couple of recent clients. During the Washington Fine Art Fair back in September, I was approached by a client on Sunday morning. She had a couple of kids in tow and was in a bit of a rush, as one can imagine. Her name was April and she was interested in a few of my more rural landscape shots. 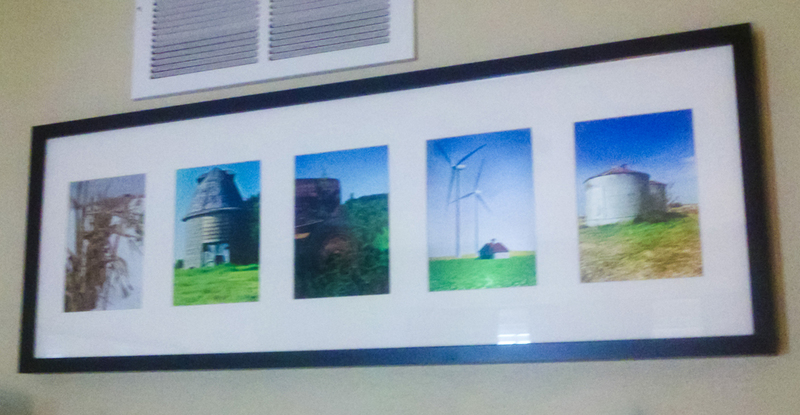 She and her husband were farmers, loved the country and farming, and April had a multiple window frame for five 5″x7″ images. While I normally don’t crop to a 5″x7″, we chatted and I was able to get her some shots for the frame to complete this beautiful piece of wall art. For those looking to do something unique and artsy with their walls, a multiple window mat and frame is a great way to spice up the scenery inside. If you’re interested, just drop me a line; I have a number of local vendors that I work with to create beautiful wall art and framings! Another one of my faithful, repeat clients has been working on redesigning and remodeling a house in Galena. Her name is Pam and she loves including some black and white and split tone images from my collection to put on the walls in the new home she hopes to sell after the redesign. 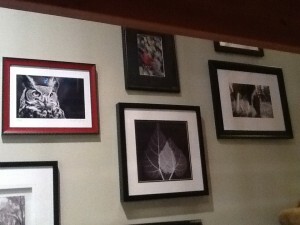 As I am always curious about how and where my art is used, Pam snapped this image with her iPad and passed it along. The images on the top and left are both mine. While “Artemis” isn’t usually available in black and white, Pam made a special request and I always aim to please so we got it put together. It came out quite nice, don’t you think? 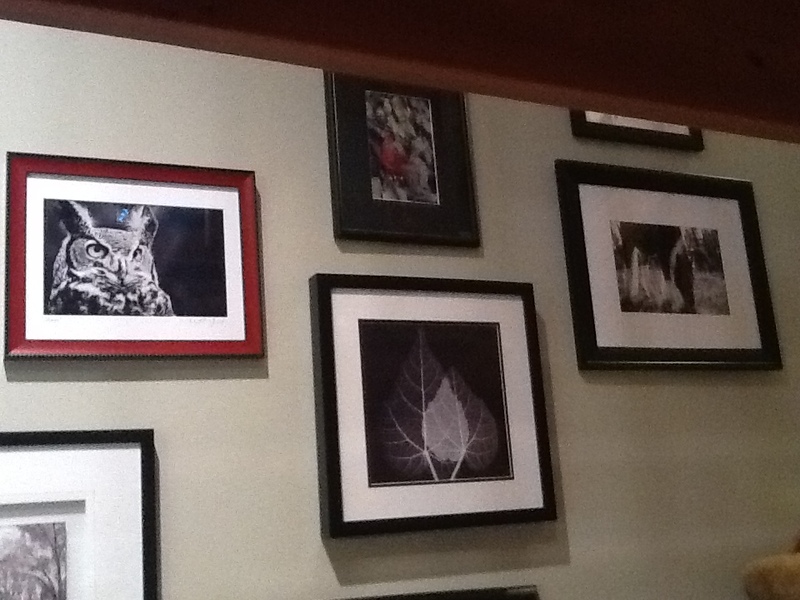 This is another type of grouping I love to see in homes as well: multiple images in frames or even as canvas gallery wraps grouped together by theme or color. Again, have an interest in some interior design and wall art? Let me know! I have a whole load of galleries and frame-smiths that I work with to offer clients specialized interior design services.